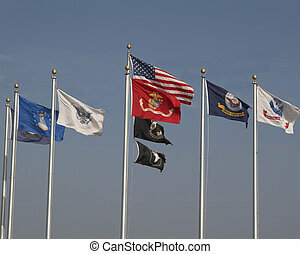 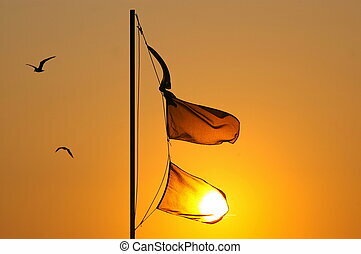 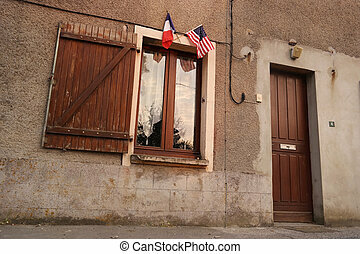 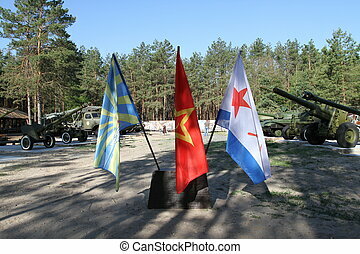 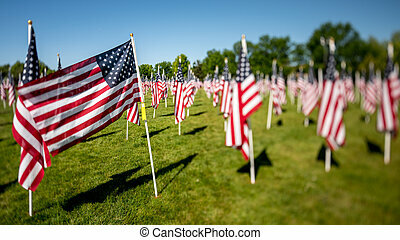 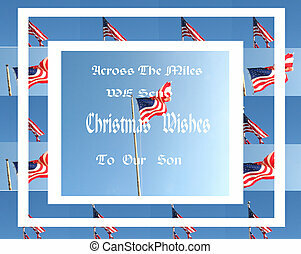 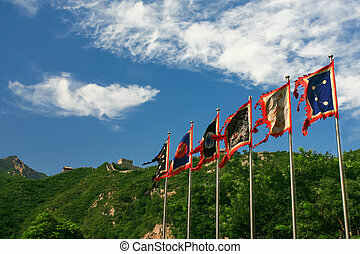 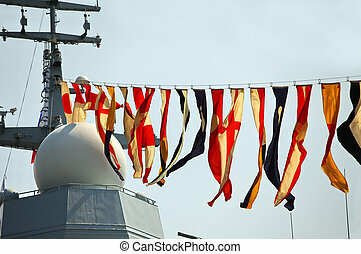 Military flags. 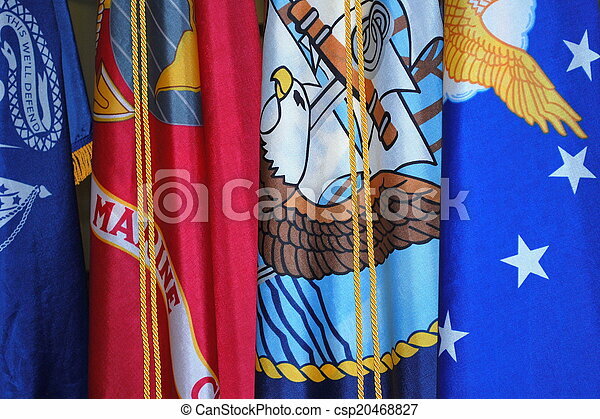 Military flags displayed indoors. 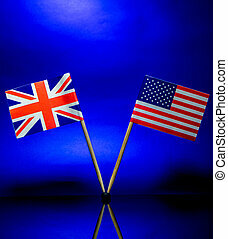 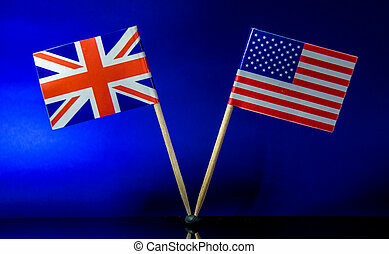 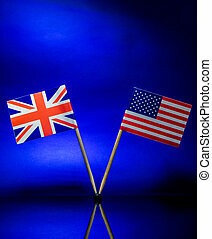 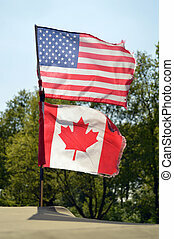 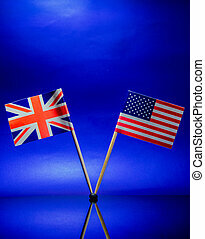 The American and British flags stand side by side against a sky blue background.